Anyone who has browsed the internet has run into a 404 error at some point. Websites and technology aren’t perfect! For everyone who isn’t familiar with 404 status code errors, we’ll do our best to help you understand what they are, how to avoid them and how to keep them from taking a bite out of the joy from your website. A 404 error essentially means that the page you are trying to access isn’t found. It could be because the link is typed into the address bar incorrectly or the page is gone altogether! How do I find the 404 errors on my website? One of the things we always recommend is installing Google Webmaster Tools. This will allow you to discover issues with your website and a number of other helpful data. You can see all of the errors here and which links are the culprits. How Do I Fix the 404 errors on my website? You can start to diagnose them using the tools provided in Webmaster Tools. You may discover that the URL isn’t even searchable on Google. 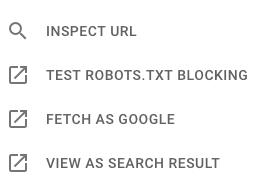 You may discover that your robots.txt file is preventing your link from being found by the Googlebot. Test it and find out! The best way you can make sure that 404 errors (who are predators looking to take over your website) is to keep an eye on them and take steps to make sure they don’t creep up on you! This means understanding how to redirect pages and ensuring the structure of your links are correct. It does get a little technical so reach out to us and let’s talk!